I always had a soft spot for veterans, as my father saw action in the Pacific Theater and I grew up with his war mementos stashed in a corner of my basement. A theme in the photos I've taken for covers on The Gerontologist has therefore been veterans, with images that reflect their pride in serving our country. 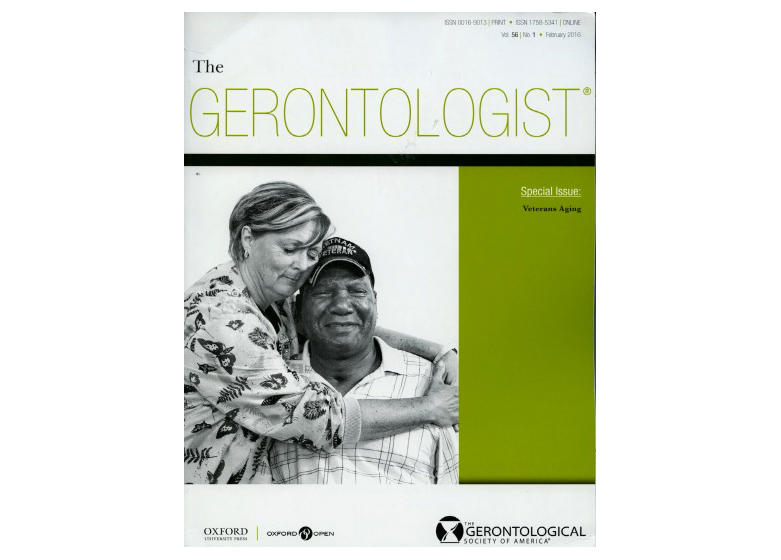 I was recently asked to provide a pic for the Special Issue on Aging Veterans, seen below. This photo was taken at the Tennessee State Veterans Home in Murphreesboro, and features a Viet Nam vet named Frank Coven being hugged by his nurse Sammie Fox. This image exemplifies how the vets were treated in this facility. The photo below was published on TG in December 2013 before the design change. It features Stanley Brown who was one of the first US soldiers to enter Japan after the surrender in WWII. He told me, "I have so many stories you couldn't have time to hear all of them!" 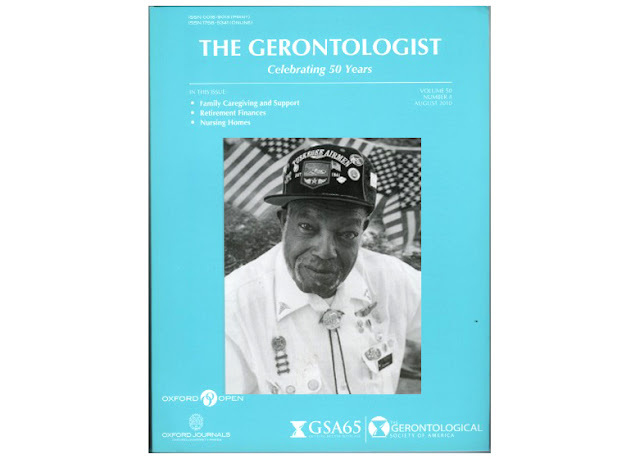 The photo below was published on the cover of TG in August 2010 and features JT Freeman - one of the original Tuskegee Airmen. This was an African-American flying outfit that saw action in Europe in WWII. After I took his picture, JT invited me to a meeting of the Tuskegee Airmen held in a hanger at Kennedy Airport. One of the old vets told me of the rampant racism at the time. He told me of one commanding officer who objected to the Tuskegee Airmen because they didn't like African-Americans bombing white people! Anyway, JT was so pleased that I put him on the cover of a magazine that he wanted me to become an honorary member of the Airmen. And take a close look - thats the Congressional Medal of Honor hanging around his neck. I've photographed several Veterans Day parades in Manhattan. The event starts in Madison Square, which is a few blocks from my office. I took the photo below in a group of Korean War vets, and it was published on TG in December 2001. Below is a picture that was not taken by me, but one I wish I took. The cover is from June 1995 and remains one of my favorites. The photographer was Neil G. Rogers and the subject is Carl F. Grimm, who served in the 13th Airborne in WWII and proudly holds his bugle. The photo was taken in the US Soldiers and Airmen's Home in Washington DC. 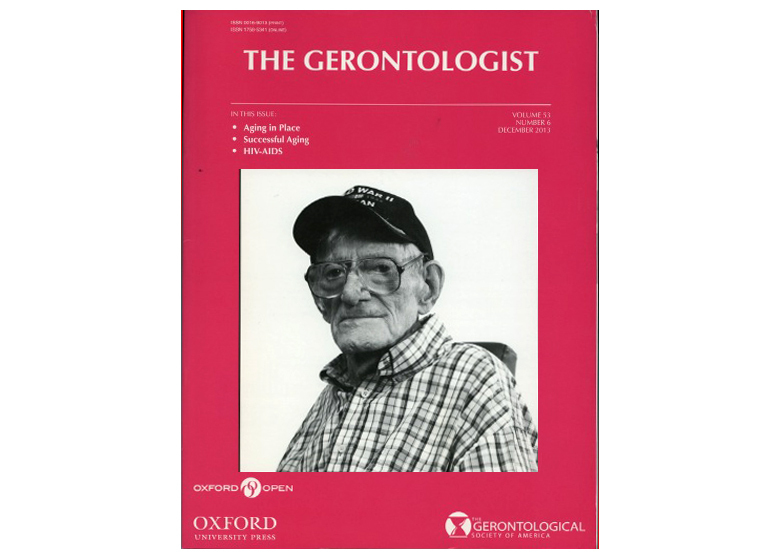 There are 15 articles in the current Special Issue of TG on aging veterans. In the editorial, Rachel Pruchno notes that there are over 20 million veterans alive today, with a median age of 64 years. The articles cover issues related to military service such as PTSD, longevity, functional decline, and community adjustment. 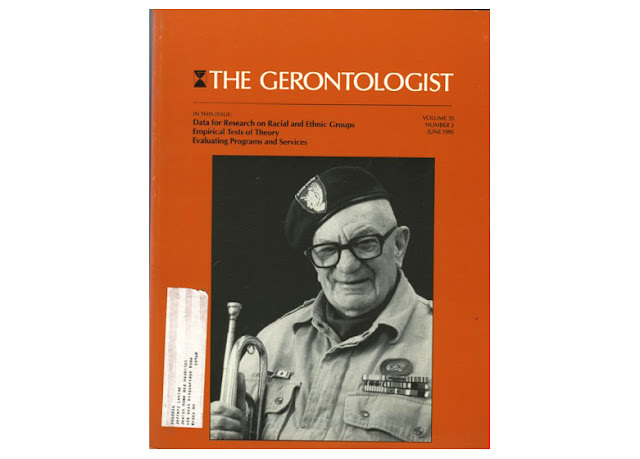 These articles set the stage for the next generation of research on how military experience affects the aging process. 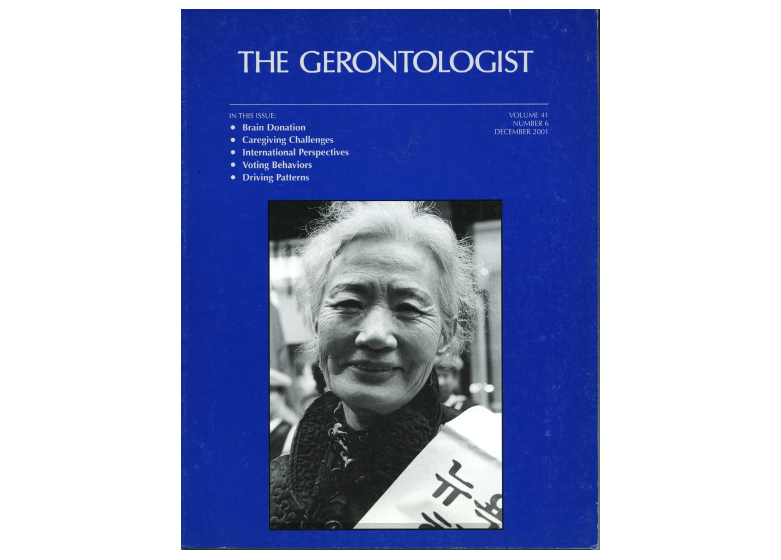 Its been a privilege for me to contribute to this publication over the years, and a special honor to present the cover photo on this issue. It was a wonderful chance to visit this kind of site and I am happy to know. thank you so much for giving us a chance to have this opportunity. I will be back soon for updates here. I have been following your blog and I have found it quite informative and interesting and you have very nice way of expressing things. I am looking forward to read more of your works and posts.